To provide people with safe and effective programs, appropriate progressions and movement modifications, as well as the knowledge, skills, guidance, support, motivation and educational resources that will allow them to explore their own fitness potential, as well as, enhance the quality of their lives now and ongoing. Target and help people from diverse populations to reduce their body fat, increase their lean muscle mass and strength, and improve their performance and overall health. We do this by helping them understand how to consciously choose healthier behaviors that meet their needs, wants, and lifestyles. Being experienced and certified fitness professionals, we offer complete nutrition and exercise programs to help you lose weight, gain muscle, get in shape and improve your performance. In addition, we take it a step further by also helping you overcome your medical condition(s). We partner with your physician or medical provider to ensure you have the safest, most effective program to achieve your goals. By communicating with them on a regular basis, we ensure that you obtain the best personal training program made just for you. 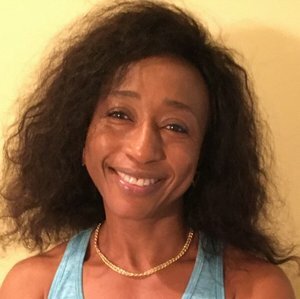 We are certified to assess and design exercise and nutrition programs for clients with selected chronic health conditions and physical or functional limitations included: Obesity, Diabetes, Coronary Heart Disease, Osteoporosis, Arthritis, Cancer, Pregnancy, Chronic Lung Disease, High Blood Pressure, Fibromyalgia, Back Pain, Youth, and Seniors. If you are looking for a knowledgeable, certified expert personal trainer to work with, contact us today and we will take the time to educate you while providing the accountability and motivation you need to achieve your goals.